While the Redskins got a break this week, they remained in sports news alongside the great action of this past weekend. The big conversation this time was not about the status of RGIII. It was not about the defense’s struggles. It was not even about the poor status of the NFC East and the opportunity for Washington to still be in it. It was about the name. The controversy has been running for a long time now. It has been decades of comments and conversations about the problems with needing to reexamine the impact on Native American people that seems to have finally led to a bit of a change. 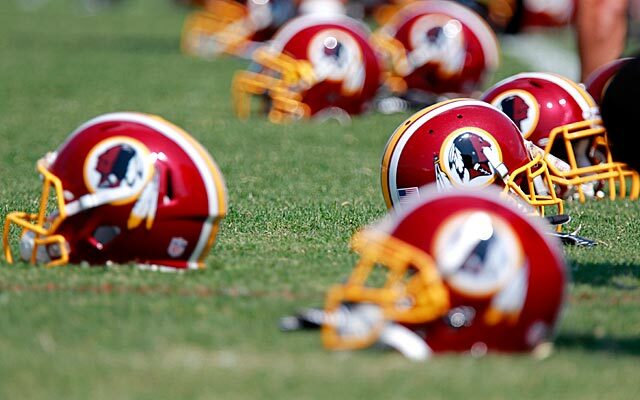 The Redskins were the last team in the league to officially integrate the players, behind the stubbornness of an owner’s discrimination against the idea. It was President Kennedy that made a statement to help push the conversation and lead to officially making the change. Now President Obama has admitted to a need to clearly weigh the sides of the controversy and likely make a change. Daniel Snyder will continue to fight this, but he may not be able to hold out forever. Roger Goodell has also admitted that there may need to be a change because there is enough of a public outcry that it is impossible to ignore the negative impact of the name. There will be people hurt by any decision made on this issue. The clear problem would be the devaluing of our Native America citizens if the name is upheld (and this is coming from a fan of the team). If the name changes, some may be happy that the decision flies in the face of Daniel Snyder while others will appreciate the rewriting of a wrong against Native Americans, but there will also be a lot of people upset that political correctness destroyed a name that is cemented in the team’s history. Cleveland continues to be a surprise with their offense striking better without Richardson, even with the loss of Hoyer for the season. 13-point win over the Bills. The Saints finally pulled off a win in Chicago behind the arm of Brees. New England seems to continue to struggle on offense (though 4-1) but it finally caused them to take on their first loss to the also struggling Bengals. Green Bay stepped up and demolished a Lions’s offense (minus Calvin Johnson). Kansas City continues to roll and picked up their 5th win of the season over the mediocre Titans. Indy and Seattle slugged it out in an amazing game that included a blocked field goal for a safety and a blocked punt for a TD. Indy pulled off the comeback win late in the 4th. Jacksonville cannot beat anybody! St. Louis rolled in this one, although they allowed the Jags to get the most points of the season so far. The Super Bowl Champion Ravens are struggling and Flacco is not looking like the amazing QB he was in last year’s playoffs, but they did survive late against the Dolphins. The Giants had a chance. They had the lead after the half. They then fell flat on their faces after Vick left the game and Foles took over without missing a beat. Carolina seems to be struggling to get their offense going, or I should say scoring. The Cardinals defense kept Newton mostly at bay and allowed for the 16-point win. 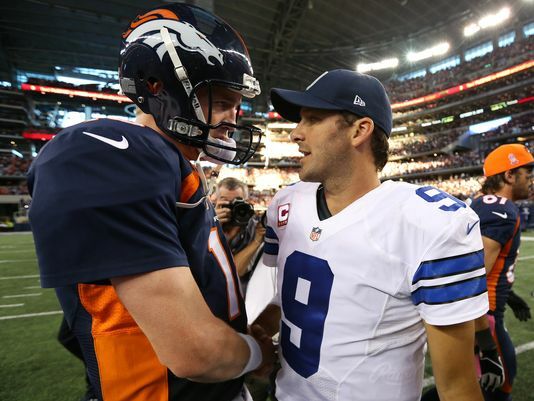 In a wild shootout in Dallas, Manning and Romo put up record numbers but Romo turned back into Romo in the closing moments of the 4th quarter. Coughing up an INT, the Broncos kicked a field goal and took the win 51-48. The 49ers only needed 6 completed passes to take out the Texans. Schaub threw 3 picks, including his 4th straight week with a INT-TD. San Diego continues to go up and down, but it was Pryor who proved to be a star with a 10-point win for the Raiders. Questions are circling about the stability of the Falcons and now increases with the struggles for Roddy White and potentially season-ending injury to Julio Jones. Meanwhile, the Falcons made Geno Smith look great with 80% passer efficiency and 3 TDs.